The charming and soulful British band Swing Out Sister rose to international success in 1987 and are fondly remembered, in particular, for the joyfulness of ‘Breakout’. Their debut album It’s Better To Travel, was a huge hit at home and they’ve just released their tenth album Almost Persuaded. Interviewer Anthony Weightman chatted to delightful vocalist Corinne Drewery ahead of their performance at Islington Assembly Hall, their first London concert in six years. Corinne Drewery: I think there were. A friend of mine said it was her morning stable. It put her in a good mood every day. Anthony Weightman: Could you tell me how you feel your latest album Almost Persuaded has been received? 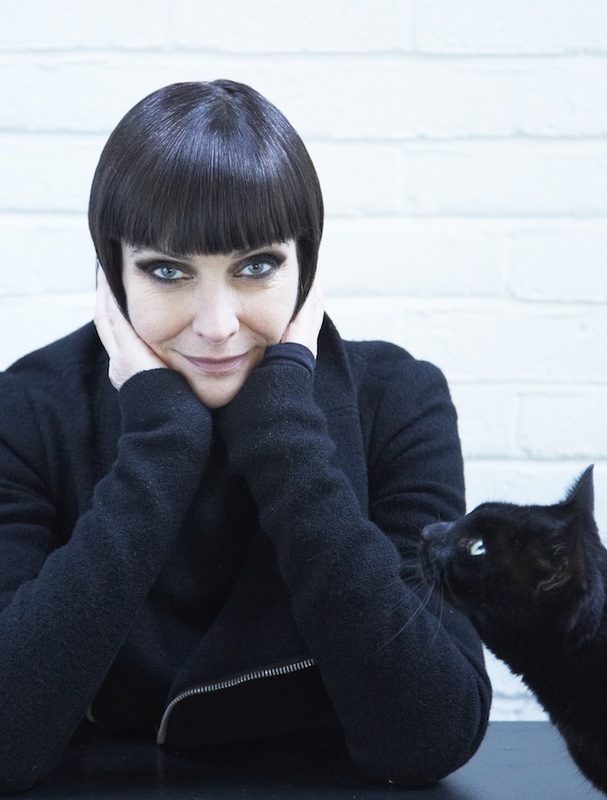 Corinne Drewery: I think it’s been received with a lot of love. It’s quite amazing. We’ve perhaps come of age. We’ve done a few albums that have passed people by. Lots of things have happened. Maybe we’ve matured. Maybe we’ve improved our song writing skills. Maybe the people who listen to our music have matured as well and they’ve time to listen again. You do have a peak and trough in your musical listening time. People in their teens have all the time in the world. Then life gets busy. You’re shaping your life and getting on with what you have to do. Music is the soundtrack that maybe you don’t focus on so much. Then maybe there’s a bit more room in your life. There’s space again for music. Maybe, as well, it’s allowed us, since it’s our 10th album in 30 years, to be a little bit more sincere. We’ve developed our song writing skills and maybe we’ve found more of an honesty. It’s hard. You always feel like you’re expressing yourself clearly, but sometimes your technical ability prevents that from happening. The more you do it, the more you improve your skills and allow yourself to express yourself more easily..
Anthony Weightman: Are you apprehensive about your first London gig in six years coming up at Islington Assembly Hall? Corinne Drewery: Not at all. I’m going to be so happy to share our new songs and their live interpretations with an audience old and new. We have a great band that makes us feel very confident. We go back a long way. Our touring band have written songs with us. Some of them we’ve grown up with. Some of them come and go. We rehearse enough to feel confident. It’s hard to describe the feeling, but there’s a great chemistry. It’s like being in a bubble and everything becomes joint. It’s hard to describe, really. We create this thing as a whole and send it out to the audience. It’s such a great feeling. It’s like a bundle of energy. Anthony Weightman: When I saw you at the Jazz Cafe in London in the 90s your music seemed to have lost none of its excitement and vibrancy. Do you have happy memories of that particular venue? Corinne Drewery: Oh yes. The Jazz Cafe was great and very loyal to us. They put us on there quite a lot. That time shaped us, really. It was a kind of new jazz venue. It showed that we had another side to our music. Jazz, pop, R&B and soul. We fitted in with the whole repertoire that they used to put on there. Corinne Drewery: Falling down stairs is a bit crazy. It’s how to make a grand entrance! I think they’ve changed it all now. They have dressing rooms downstairs. I like my feet firmly rooted to the ground. I sometimes perform with no shoes on and I think I got that idea from Sandy Shaw. She also had big feet, like me. Corinne Drewery: I think I share some of the same feelings with Picasso. I was at the Picasso exhibition at The Tate the other day. There was a quote of his and I thought “yes, everybody gets this”. You start a painting and it becomes something altogether different. It’s strange how little the artist’s will matters. There’s some other higher level of consciousness. You take all this stuff and process it and then you’re taken to a place where you don’t know where you’re going to end up. You can do things in a very methodical manner and go through the motions of writing a song, but interesting things happen when you’re not really thinking about it. Probably, that’s what I’m trying to say. When it’s 3 in the morning or you’re tired or you’ve had a few drinks and it’s time to go home, suddenly this thing will come and steal your mind and take you on a journey you hadn’t expected. Anthony Weightman: You say that, despite being generally placid, to the surprise of others you tend to ‘lose it’ about once a year and erupt like a volcano. Is there a way of predicting that explosion? Can people who know you well see it coming? Corinne Drewery: I think it’s just about being pushed too far and if I don’t think people are being reasonable. I take into account people’s feelings and what’s going on, but if people are not considerate of others, that’s usually the scenario. Anthony Weightman: So, perhaps I’m quite safe for the next few minutes? Corinne Drewery: Oh yes. It takes a lot for that to happen. I don’t like loosing my temper. If someone was being really inconsiderate, that would be the reason. Corinne Drewery: I think, as time goes on, you realise that it’s not so much attention you want as the bringing together of people. That’s the great feeling about music. In a concert you bring together your band and you give feelings and sounds and everyone contributes something. I don’t particularly want the attention. I want to share something. I’m quite shy really. I think a lot of performers are. They create a facade for themselves. Anthony Weightman: You’ve often talked about your extraordinary success with that wonderfully joyous song ‘Breakout’. You’ve explained that it was a genuine and sincerely felt song that captured people’s imagination. Do you think that music fans are generally very perceptive and quick to recognise something that isn’t genuine? Corinne Drewery: A song might be genuine in some kind of stream of collective consciousness. It might pick upon something that everyone’s feeling and thinking at the same time. Anthony Weightman: I know you’re a huge Dusty Springfield fan. Thinking of ‘The Look of Love’, written by Burt Bacharach and with lyrics by Hal David, I’ve often asked myself whether, despite the many versions of the song, will there ever be anyone who will sing a more haunting version than Dusty Springfield? Corinne Drewery: I don’t think so, but everyone brings their own moment to the party. I think that song was perfect for her. I love Dionne Warwick. I think she does a great performance. She’s one of my favourite singers too. Aretha Franklin cracked it with ‘Say A little Prayer’. She put her own stamp on it and made that the ultimate version. Some things just reach your heart-strings, don’t they. Anthony Weightman: You say you love the cinematic compositions of Ennio Morricone and John Barry. Both have been endlessly praised for being versatile, innovative and experimental. How would you personally describe their influence upon you? Corinne Drewery: Well, we probably wouldn’t have existed if it weren’t for them. When I first got together with Andy and Martin, I felt a bit intimidated because I hadn’t been in a band before. I liked soul and Motown. I liked Shirley Bassey and the Bond themes. We got into cinematic music and that set the way we did songs. I usually respond to music that Andy has written and then I’ll write some lyrics and melody around it. It very rarely happens the other way round. It’s almost like I’m writing a song to a film sound track and imagining the movie in my mind. So, they had a great influence upon us, particularly in the beginning of Swing Out Sister. All of the early Bond themes are pretty amazing and they conjure up a time and a feeling. When we were growing up worldwide travel was for the privileged few, so we lived our dreams through the Bond films where every scene was in a different capital city. I think the music makes the film. Anthony Weightman: How do you feel about the word sophisticated being applied to your music? There does seem to be an irony. Often the most well know and memorable song an artist performs is the simplest one. Corinne Drewery: Well, in the beginning we gave our music this overall effect of being quite accomplished. So people decided to call us sophisticated and we’ve been lucky. We’ve worked with some great musicians. Maybe the string and horn arrangements gave it that tag. Perhaps we appeared beyond our years because we were aspiring for something that was a bit more than we had earned the right to achieve. We wanted arrangements and harmonies. Anthony Weightman: Over the years, is there any one piece of advice that stands out as being the most important you’ve ever received? Corinne Drewery: Well, Jimmy Webb told me don’t try to write a song, from a lyrics point of view, till you’ve read the complete works of Dylan Thomas. I haven’t got through the complete works, but I can understand where he’s coming from. When I auditioned for my first band, a trumpeter called Harry Beckett said “you gotta play hungry”. It probably does help. You can’t be too comfortable when you’re performing. Anthony Weightman: Asking the same question in reverse, what would be your worst piece of advice? 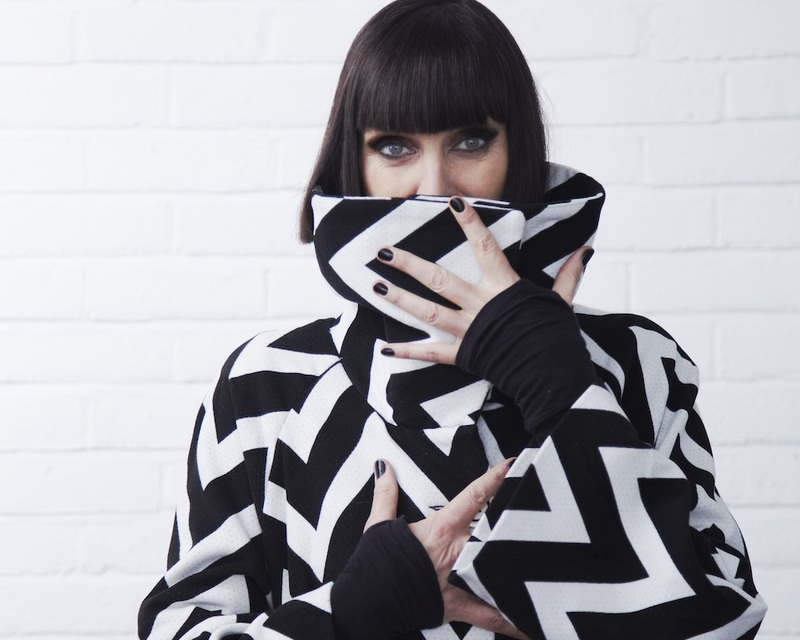 Corinne Drewery: A had a drink when I was first in a studio, before Swing Out Sister. A friend who was a producer suggested I had a drink to calm my nerves. I drank a whole bottle of brandy. The advice I’d give to anyone is just to be honest with yourself and with people. Honesty is the greatest key to everything. People relate to sincerity. It’s hard to find that place, especially if you’re nervous. This album may have a little more space for that because I recorded by myself at 2 or 3 in the morning after having had a few Guinnesses. So, I was completely relaxed, not waiting for the red light. Anthony Weightman: Is an autobiography something you’ve ever been approached to do or something you’d very much like to do? Corinne Drewery: I don’t know, really. I always think I’d like to write something myself, but I can’t remember half of the stuff that’s happened. Then there’s that getting back to that honesty and sincerity thing. There may be some things that have to be kept close to one’s heart and go to one’s grave. Photographs tend to trigger the memory. I’d like to write a story and incorporate some of our experiences.